Before you breed to any of our horses or buy one, we would like to share some of our beliefs about our lives with horses. This way, you know what to expect. We approach our horses, like we approach our lives; first, giving thanks to God for His blessings, then working hard to fulfill the potential He has in mind for us. We are blessed to have wonderful brood stock. We breed to the best and we work hard to see their offspring meet their full potential, whether it is on the trail, in the arena, or just playing in the pasture. Any structure, person, or animal is only as strong as its foundation. With a horse, this foundation is achieved through good breeding, good care, good nutrition, correct groundwork and training. 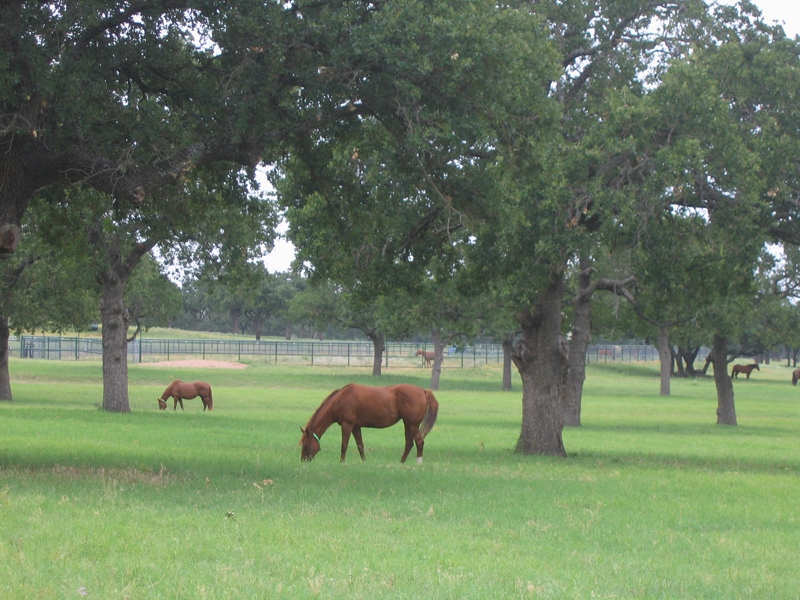 We take time to select the best breeding and to provide proper nutrition, proper training, and a good name. In the end, we and our customers value a gentle, well-trained mount that is fit and supple in body, mind, and spirit; a reliable partner of which we can be proud in any of our equine endeavors. That well-worn word synergy describes an exciting condition when a person and a horse combine their ideas and abilities to achieve a degree of success that neither could attain as individuals. We believe that God created the horse to be a partner to man and that together horse and rider can possess a synergy found in few other human/animal relationships. Horsemanship is about human and horse coming together as partners to accomplish what neither could do individually. The horse gives the human so much more power, agility, speed and freedom; the rider can unlock the potential within the horse to help it become more confident, more useful, more free and happy within itself. It's a thrill when we know our horse is our partner, when it has as much enthusiasm and enjoyment for the work at hand as do we. We love to see a horse that shows a willingness to work in an expression of confidence and happiness that says, "Pick me, pick me, I'm ready!"